The range is 100% quality checked and you can rest assured us for the same. We along with our quality auditors make certain that even the raw material used go through varied stages of checking. With our strong distribution network, we efficiently distribute goods to the desired place. Precautions - Use Eye Protective like Goggle, Store in Cool & Dry Place, Away from Children & Food Articles. Protect from Eyes, Nose., Though It's Non- Poison Do Not Eat, Use Hand Gloves While Applying It, Protect Nose & Mouth At Application. Usage Instruction - Make sure that the snake is not inside the premises before application. 1. The powder product is spread on the ground across an area where it is desired to prevent or discourage snakes from entering. 2. Preferably, the powder should be spread in a strip 10-30 cm wide , although generally the wider the strip the better. 3. In this manner, an odour barrier is provided that snakes are reluctant to cross. 4. Additionally a smaller amount of product may be scattered in diffuse or non-continuous manner just beyond the strip, on the side away from the area to be protected. 5. This added scattering of repellent serves to lessen the probability of occasional snakes wandering beyond the strip. Safety Features - Not Soluble in Water, Not Explosive, Free Flowing Solid Powder, Non Toxic to Human, Snakes,Pets, Make Sure that the Snake is Not Inside the Premises Before Application. 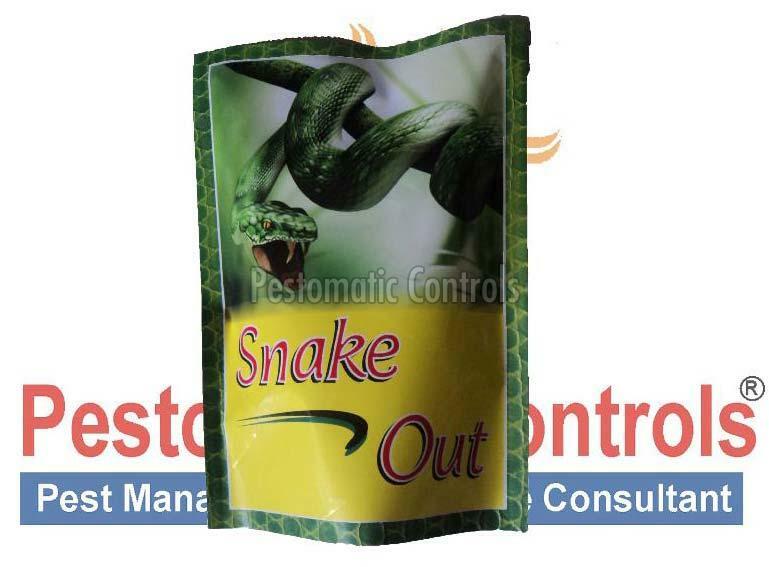 Other Features - Keeps Snake Away from Your Premises, Snake Dont Cross the Line Made By Our Snake Repellent, the Repellent is Not Soluble in Water.